This is a receipt used by the society to acknowledge all money received in the society office. the money can be in physical cash, cheque or banking slip. The receipt is issued immediately money is received. The receipt should indicate to whom it was issued, the purpose of the money, the date the money was received and the signature of the person receiving the money. Examples of money paid to the society include; entrance fees, share/savings contributions, loan repayment, sales of stationery etc. The receipts are contained in a booklet and each is in three copies, the original and two duplicates. the original is issued to the person paying the money. The duplicates remain in the society for records and book keeping.This is an important accounting document and should be kept securely by the authorized person. This is a document that is used to show money moving out of the society in form of payments. Every time expenditure is incurred and payment is made, the transaction should be recorded using a payment voucher. No payment should be made without recording it in a payment voucher. The voucher should clearly indicate the name of the person being paid, the purpose of the payment, and the date of the payment. If handed over to the payee, then the person should sign the voucher to acknowledge receipt of the money. If payment is made by issuing a cheque, then the cheque number should be indicated on the voucher. When a payment is for expenditure where a cash receipt has been obtained, then the receipt should be attached to the payment voucher. All payments should be known and authorized by the relevant officials. the officials should authorize payments by signing the payment vouchers. Payments that may be made in co-operative societies include; purchase of stationery, travel and subsistence, sitting allowance, office rent etc. The original copy of the voucher should remain in the society for accounting purposes. The copies of the official receipt and payment vouchers should be systematically filed in a payment voucher and official receipt file. If the transactions of the society are many and the documents are bulky, then separate files for the two documents may be used. The two are important documents and the files containing them should be systematically given folio numbers that start from the beginning of the financial year. This is a book that shows a summary of all cash transactions from the official receipt and payment vouchers. The two documents are the source of information for the cash journal. The cash journal has both cash column showing all cash transactions and bank columns showing all bank account transactions. The entries in the cash journal are made daily when cash transactions take place. The cash journal is balanced at the end of each month to show the total money that was received and how much money moved out. The cash journal is a source of information for updating ledgers for individual accounts. 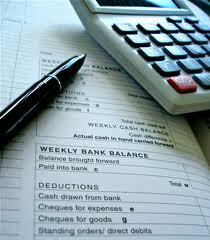 the ledgers will be source documents for preparation of trial balance. The trial balance is a summary of individual ledgers and shows actual performance of the society. Thanks. You are welcomed. Cheers.